Growing up in New York, writer/director Marisa Fox sensed that her mother, Tamar Fromer Fox, consisted of two women trapped in one body. She could be hot one moment and cold the next, just like her favorite lipstick shade “Fire & Ice.” Tamar only spoke of her days as a freedom fighter in Israel. She denied she was a Holocaust survivor and insisted she escaped Poland on the eve of the Nazi occupation. She died of cancer when she was 58 years old. Nearly two decades after her death, Marisa discovered her mother was born with a different name–Hela Hocherman, 9 years older than she admitted. 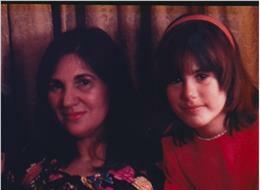 What else had she hidden from her only daughter? 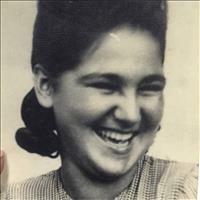 Combing through recently opened World War II prisoner files, Marisa learned that Hela had been abducted and trafficked by the Nazis when she was 14 in a vast, underground network of women’s slave labor camps for nearly five years. Based on her upcoming book and recent articles for Ha’aretz, The New York Times and Huffington Post, Fox’s directorial debut, By a Thread, unfolds like a detective story. The film brings together the talents of Emmy Award-winning Director of Photography Slawomir Grunberg, whose latest documentary Karski & the Lords of Humanity was nominated for a Polish Academy Award, and Editor Bleue Liverpool, a filmmaker and multimedia artist whose work has been shown at the Whitney Museum of Art in New York. 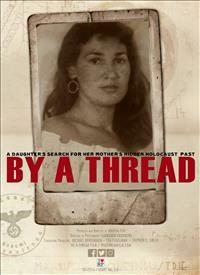 Shot on location in the Czech Republic, Poland, Israel, the United States and Germany and Canada, By A Thread is a gripping, first-person documentary about a daughter hungering for connection and closure with a mother and a past that defy explanation.